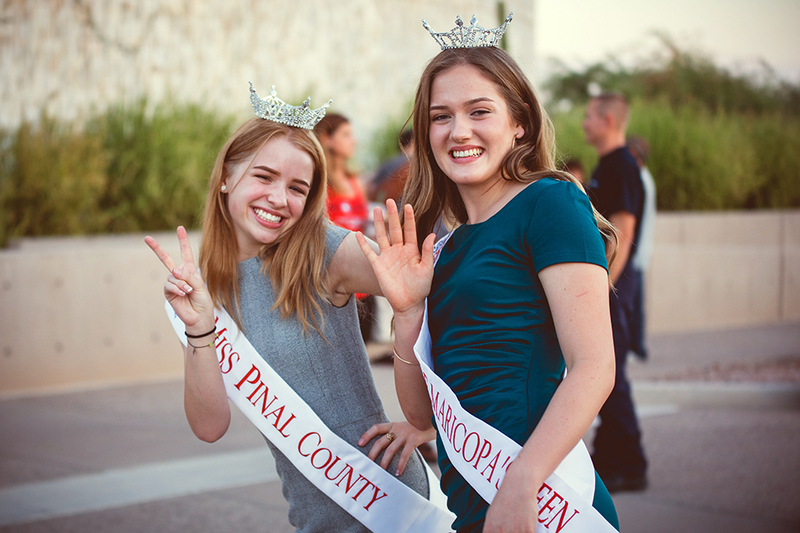 Maricopa High School senior Lindsay Hubbard won the title of Miss Pinal County at October’s scholarship pageant, which also crowned Miss City of Maricopa and Miss Pinal County and their respective Outstanding Teens. Hubbard plans to share her love for science and mathematics with as many as possible and use her platform to advocate science, technology, engineering and math (STEM) occupations. 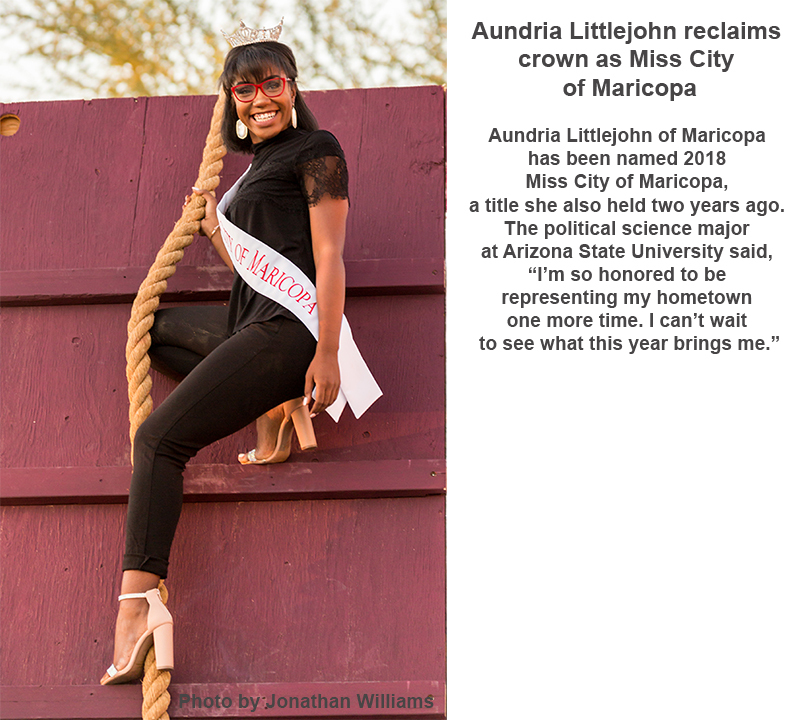 A pageant novice, Hubbard, 18, decided “this is my year” and took a leap of faith into the pageantry world. Combining her interest in pageants with her passion for science, Hubbard established her platform, “Starting at the STEM,” to motivate young men and women alike to work toward STEM occupations with the intent of breaking STEM-related stereotypes and proving anyone can truly do anything. Hubbard’s dream job is to be an aerospace engineer and work for NASA. While working toward that career goal, she plans to stay involved in pageantry. “I really, really want children everywhere to know not to be afraid,” she said.